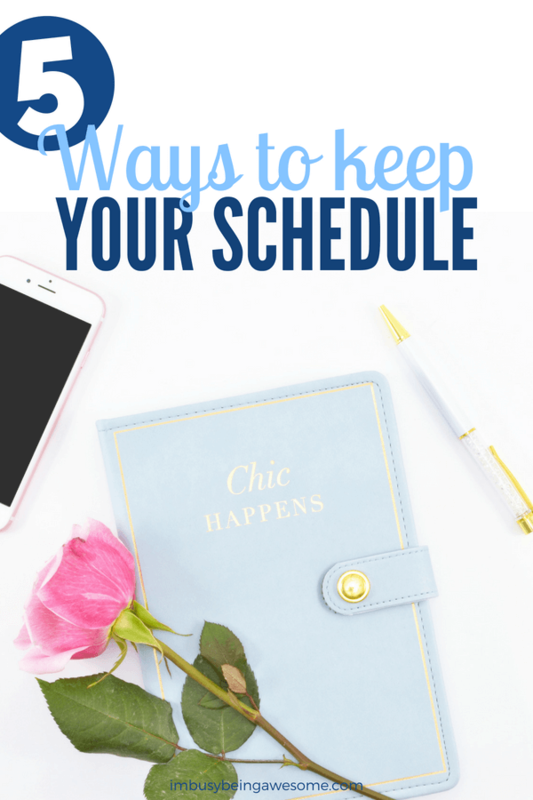 We all know the benefits of keeping a schedule. It helps us meet deadlines. It’s easier to remember appointments. And we make the most of our time each day. In short, when we keep a schedule we’re more productive and organized. And let’s be honest, who doesn’t want that? 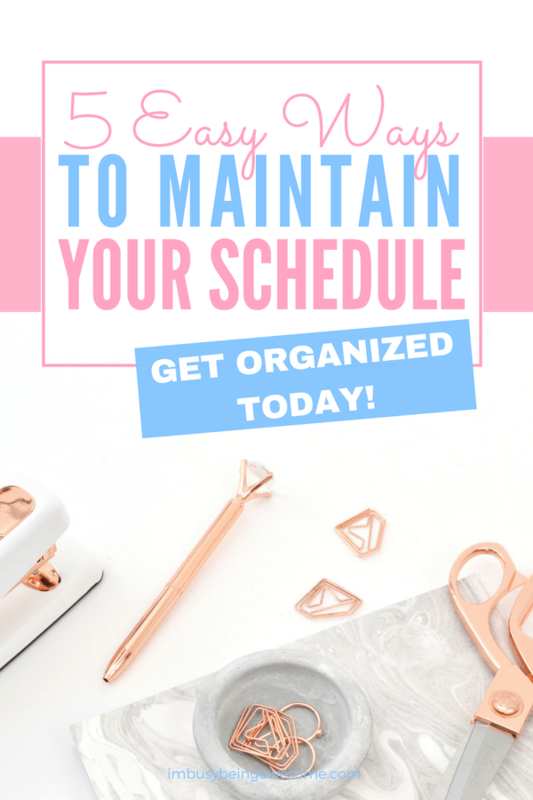 While we recognize the benefits of keeping a schedule, however, actually following through can be a challenge. Events come up. Deadlines change. And as creatures of habit, we sometimes struggle to “roll with the punches” when things don’t go according to plan. Let me ask you, has something like this ever come out of your mouth? In fact, I’m willing to bet that we’ve all been there. We have every intention of sticking with our brilliantly planned schedule for the day, but for one reason or other, things fall apart. 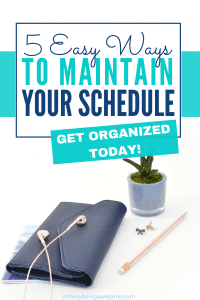 Well, don’t worry, because today I’m here to share with you five simple strategies to create and keep a schedule with ease. But in all seriousness, I find to-do lists incredibly beneficial if you want to keep a schedule because they highlight everything that’s happening throughout the day. Once you’ve made that list, then decide how much time you need to complete each activity: 2 hours for writing your report, 30 minutes for answering emails, 60 minutes to walk your dog etc. Use this information to map out your day with time-blocking. Remember, schedule high-priority activities first and work in everything else around them. 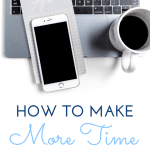 Snag your FREE time-blocking workbook here! 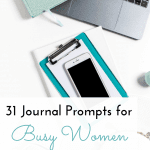 Now that you have your list for the day, it’s time to record these tasks into one organizational tool. It is completely up to you whether you use an app on your phone or a paper planner; I use my bullet journal for everything. 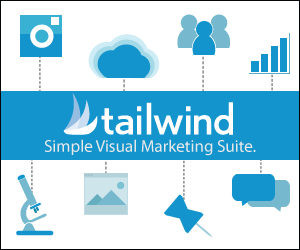 The key takeaway is to use the same tool for everything. I can’t stress this third tip enough: don’t make a schedule that you can’t keep. Why, you ask? Because doing so creates both additional stress and a feeling of failure at the end of the day when you don’t get “enough” done. So as you map out your schedule for the day, give yourself plenty of time in between activities, especially if you have to travel from one appointment to another. Perhaps even more importantly, make sure you allow yourself breaks throughout the day to rest and recharge. If you create a jam-packed schedule that leaves you feeling exhausted, this not only tires you out but can quickly lead to burnout. And believe me, this is not a place you want to be. Like any good habit, you have to practice consistency to make it stick. If you want to keep a schedule, you have to work at it. It’s as simple as that. Yes, it may feel overwhelming at first. But I promise you; the scheduling process gets easier each time you do it. Persistence is key! As I mentioned above, more often than we’d like, things don’t go quite according to plan. If this happens to you, first remind yourself that it’s completely normal. Then, push away that familiar feeling of stress that’s probably trying creep in. It will only distract you. Remember, this is the reason why we were realistic with our schedule and built in transition-time between activities. So if your meeting runs long or you’re stuck in traffic, breathe easy; you have that “wiggle room” to stay on track. And there you have it, friends! 5 fail-proof tips to keep a schedule. Are you ready to give them a try? Great! 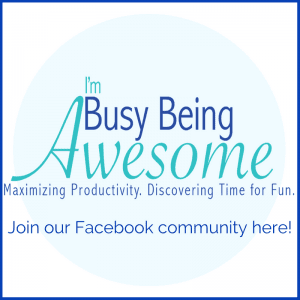 Then be sure to download this free time-blocking workbook to keep yourself on track all week long. You can snag it here! Do you ever over-plan your schedule? What are your strategies to keep a schedule? Are you a fan of time-blocking? Let me know below! Great tips! Love you blog!!! I always buy planner, but end up not using it after a few months. I usually list 3 things I have to do that day. If I am working on one thing, that’s the only time when I list my sub-tasks. It’s easier that way, and at least I don’t over plan too. It sounds like you found a great strategy for yourself, Karen. That’s awesome! Great reminders! I’m pretty bad at using a planner and tend to do more things in my online calendar! 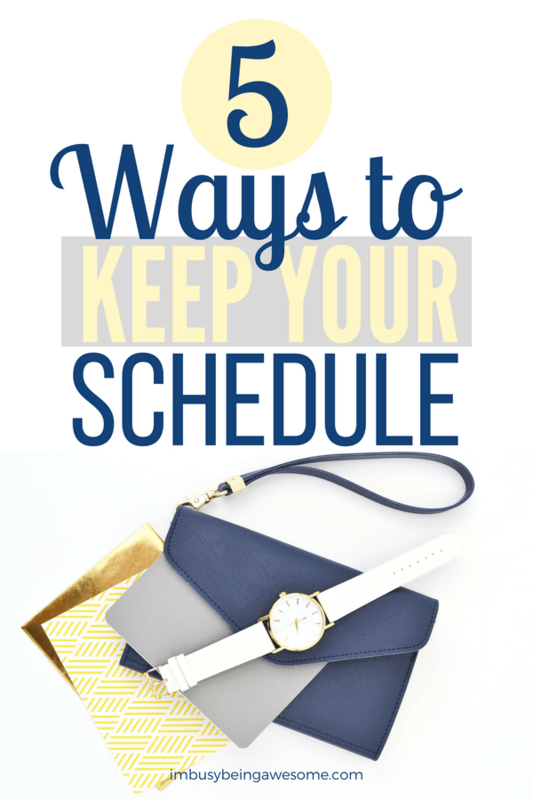 I find it keeps me on track with all the different schedules I’m managing! These are helpful tips! 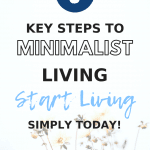 I agree that sticking to it is key to get in the routine of a good schedule. These are all really great tips. I have a really busy week ahead of me and I am trying to stay on top of it, this list is getting put to action today! thanks for sharing! I buy a planner every year. At the end of the year literally two weeks are filled in. I need to stop doing that, LOL!! My husband teases me endlessly about having a paper planner, but it is my life and it keeps me so organized! I love the expect the unexpected section. So true! Thank you for these great tips. I’m ready to get right as we head into a very busy season ahead! Yes! Exactly, Amanda. Taking time for you is SO important. To-do lists are my LIFE, I literally have them in every room of my house (ha!!) and I find a paper planner/calendar is easier for me to keep track of…on my phone I do the swipe away far too often. Absolutely, Rachel. It’s SO hard! This is something I am working on actively! Thank you for the tops!! Absolutely, Ruth! I hope they help 🙂 Good luck! You had me at “self care every day!” Lol. 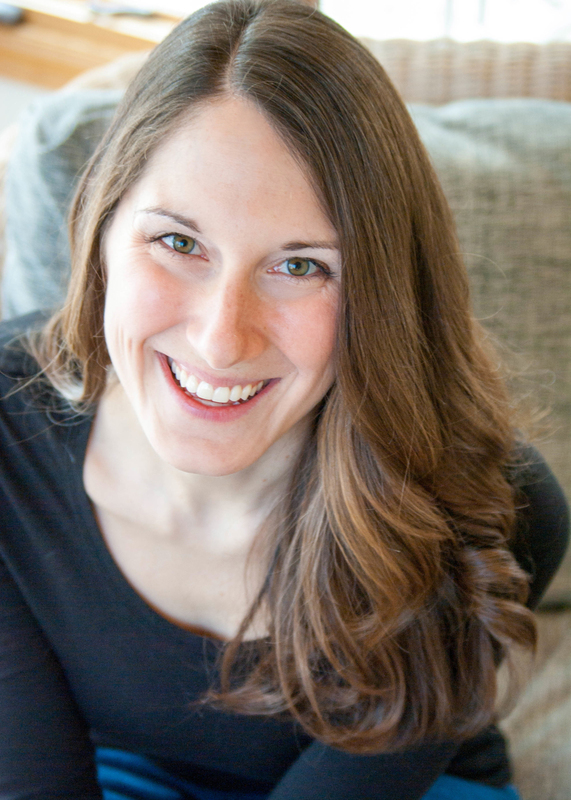 But seriously, great tips, and I do love a good to-do list!